I'm Anne Barnes, co-owner of Franklin's Toys. 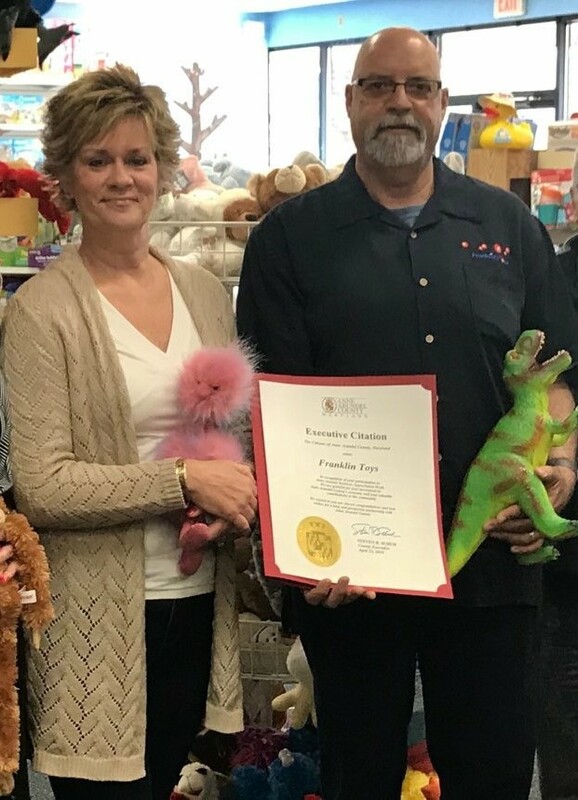 I have been in the toy industry for over 20 years first assisting my husband who owns a sales and marketing toy representative group that serves the Mid-Atlantic, to now owning Franklin's Toys. We believe in the Power of Play and hope that Franklin's is a special place where children can play and have fun with quality and safe toys and games. Through the transition of ownership, we love that customers have maintained their loyalty to Franklin's and continued to support the 'small business' experience. I'm Stephen Kaufmann, co-owner of Franklin's Toys, since January of 2017. My life has always been about Play. First as a child :) later in 1991 an operations manager for a toy manufacturer, then a toy sales representative, and now I own these 2 wonderful toy stores. All of our experience has been focused on the philosophy that healthy play is such an important part of childhood. We want to support that play by offering great toys in a warm, family friendly place. Our aim is to carry on the legacy left to us by Jeff and Lee Franklin. We continue to stock the stores with wonderful toys, full of play value, both new and classic. You can find things for all ages and interests. Our experienced staff loves to help you select the perfect toy for an infant, toddler, pre-schooler or the latest in board games for a fun family game night. If you can't make it in to visit us, our new website offers a broad selection of what's carried in the stores. If you don't see what you are looking for, call us to discuss your needs before purchasing.